YouTube - Lucy the reticulated python comes out for a stretch while her enclosure is cleaned at The Reptarium. 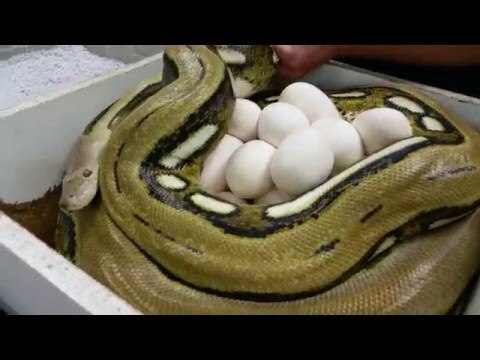 YouTube - Tim pulls a clutch of reticulated python eggs from a protective female, while Jay is nowhere to be found. Snake with a Developed Clawed Foot- Real? 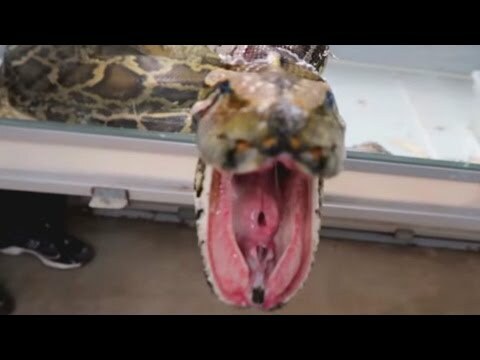 AnimalBytesTV - Brian Barczyk‘s huge Burmese python and his giant reticulated python want to bite him during cleaning time. AnimalBytesTV - Chewy comes over to visit Brian Barczyk at BHB Reptiles and handles some large reticulated pythons and other snakes for an episode of SnakeBytesTV.